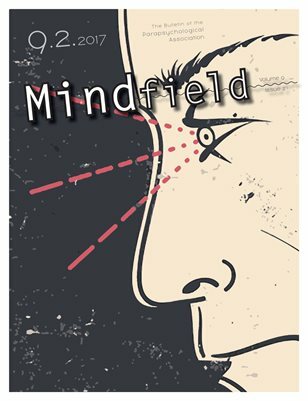 This issue of Mindfield contains part 2 of a reprinted article by William Braud "Expanding Psi Research: Toward Wider, Wiser, and More Humane Inquiry." In part 2, Braud describes how supplementing nomothetic and physiological approaches with other ones - such as evaluating subjective indexes and the personal meaningfulness of an event may deepen our knowledge of psi phenomena. Outgoing PA President, Chris Roe, provides an update of Sybo Schouten’s 1993 analysis of the human and other resources available to psi research - estimating that a bit more than a year of research in psychology in the UK is equivalent to all of the research in parapsychology throughout history! Elsewhere in the issue, Carlos Alvarado revisits the topic of fraud in parapsychology from a historical perspective and Hövelmann et al. provide the 23rd installment of "Articles Relevant to Parapsychology in Journals of Various Fields".